When you get into your car and then turn the car key, you will expect your car to turn on, but there are situations when it doesn’t start. There are times when your car does not start at the most inconvenient time, and hence you will need to search for the issues that are creating these problems. Since the engine of the machine is a complicated piece of machinery, it might meet some ignition problems, and hence the car may not start. You will have to look for a mechanic who will fix the problems in case your car won’t start. The mechanic will look for the problems that are causing these ignition issues so that it can be repaired immediately. 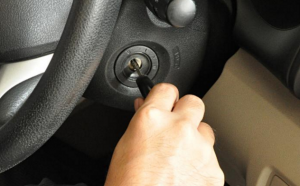 With help from mobile local locksmith company, you can get information about ignition problems. Each car has the ignition coil that may grow old and fragile due to wear and tear. With time the coil may also erode, and when it is corroded or becomes fragile, it can regularly break or split. This is the most popular car ignition issue in which the ignition coil will hinder the engine of the car from turning on. This coil is determined by the distributor cap, and you will be required to take a keen look at the cap for finding any traces of mist or water under the cap. For fixing this issue, you will need to replace the ignition coil as well as the distributor cap for you to fix this issue. As soon as you encounter car ignition problems then the first thing that you should look at is the battery of your car. The reason is that if your battery is destroyed, then your engine cant to turn on. 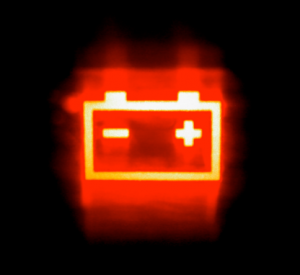 To see whether your battery is empty or filled you can remove the battery from your car to your local auto parts store. But if there are no issues with the battery then you will have to examine the fuse box that is inside the engine for detecting any blown fuses inside the fuse box. 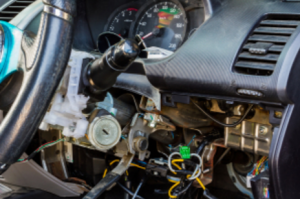 Another very popular electrical problem that might lead to car ignition problems is the destroyed starter connection or switch connection. There are a great number of electrical elements that can result in car ignition problems and an issue with just one of the component cannot allow the engine of the car to start. It is very essential that fuel circulates the engine of your car for your engine to start quickly and work properly. After you have solved the ignition coil and electrical issues, you will have to take inspect the fuel system of your car. 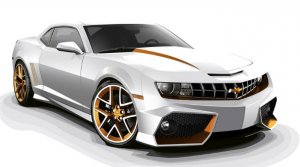 Fuel injection operation is the initial thing that you will have to check as it features electrical connections that may become loose and you will have to tighten it. 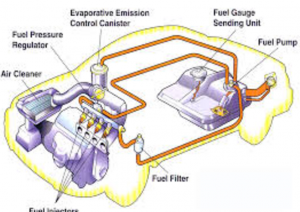 The fuel pump is also the main component that can result in car ignition problems, and if the pump drops pressure then the flow of the fuel to the starter in the engine will become low, or it may stop completely. Therefore it is very crucial that you watch on the relay line to ensure that it is not clogged. This is another reason why the engine of your car does not start. When the power train is over heated due to controlled explosion that occurs inside the engine that releases large amounts of heat. The high temperature inside the engine is regulated by the engine and it is very vital that you monitor the coolant level as well as the system time for evading these heat problems. Another very popular car ignition problem happens when the ignition switch gets heated while you turn on the engine of your car. This may be due to broken ignition switch wire or loose connection, and for you to solve this, you will be required to change the ignition switch for resolving your problem. The battery of your car is supposed to be fully charged for it to start as immediately after you turn on the engine. If the battery is completely charged then, the issue might be defective ignition wire that may prevent the battery from providing adequate current to the engine. Many people end up losing their car keys now and then. Research shows that an average person will lose his or her car keys 12 times in a year, and the most lost car key seems to be Honda Keys. It becomes a terrible experience if you have lost your Honda car keys and you don’t own a spare key. This is when you need to contact a car key Locksmith or specialist. Finding a local Locksmith or car specialist like Las Vegas Locksmith Pros will help you save a lot of money and time instead of going to the Honda Car dealer. There are a lot of automobile locksmith who specializes in replacement car keys locally. The best way to find a Honda Locksmith is to go to google.com and just type automobile locksmith in combination with your local town where you live. Years ago locksmith had it easy, keys were cut out right there on the spot. Nowadays, some cars contain an encoded computer chip which makes your car key unique. Locksmiths nowadays are equipped with special hardware and software that will reprogram a replacement key to imitate that of the original key so that it will work. They are knowledgeable about the designs of most, if not all types and brands of vehicles and they simply cut the pattern on a replacement key and input a reprograms computer chip so that your car will think that the replacement key is original. It is important to choose a company with a lot of reviews to make sure they are professionals and know what they are doing customer service wise. Another avenue you can take is to contact your Honda car dealer. This is not the best option it can get pricey and cause inconvenience. This is because car dealers will make you tow the car to their place of business. Once the dealer receives your car, they require for you to prove your ownership over the car and you have to present documents to the car dealer. Finally it might take couple of weeks to receive your key, and sometime couple more days to reprogram it. Normally, automobile locksmiths charge much cheaper than car dealers. Locksmiths are experts when it comes to car key replacements. They deal with those problems all day long and usually very good at key replacing services. 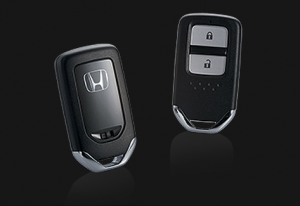 A couple of precautions need to be taken when choosing a locksmith service for Honda keys. First and foremost when you begin your search for a locksmith it is best if you can research one on the internet as opposed to only using the phone book. Of course word of mouth referrals are always good since you have a friend or family member that has used the service before, but if it is your first time looking for one the internet is a great way to start. While ads in mailers or the aforementioned phone books might list items like their qualities, experience and years a locksmith company has been in business the internet sites of these locksmiths usually have ratings, sections for user comments such as testimonials and a complete list of the services they can perform. It is also extremely important to confirm that the locksmith you are using is licensed, bonded and insured. In most cases a professional and skilled locksmith will perform the work without incident but accidents do arise and the comfort of knowing that they are insured should aid in making your decision. Sometimes there are customers whose needs are much different than the common job in that specialized parts or expertise is required. Those with higher security locks, foreign and newer high end model cars and trucks and custom alarms and security systems would be wise to choose a locksmith that has these items and knowledge available for the work that is required. In cases of severe weather there is known to be an increase in the need of a locksmiths services. When choosing a locksmith it is advisable to look for companies that have more than one technician on hand in order to meet your needs in the fastest and most convenient manner. Just because you might have spoken to two or three locksmith and the quotes are different it is best to keep in mind that while the lowest price is always the most attractive, it is not always the best of service. There are also many times when a customer will be quoted a price and after the locksmith arrives it becomes much more. 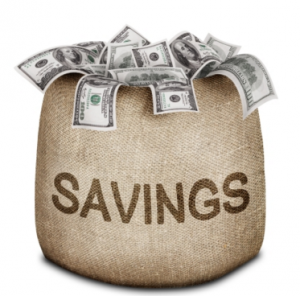 When receiving a quote makes sure that there are no other charges or fees. Locksmiths are there for a persons need night and day and your needs are very important to this skilled laborer. Make sure that that when you are in need in times such as these to employ only the best, as that is what any person requiring a locksmith deserves. A basic car key was the most common used type of car key up until the mid-to late-1990’s. Although it has a unique cut, the basic car key lacks a security feature. With cuts and grooves on the shank, it looks like a house key. Basic keys are the simplest and easiest to copy as they do not require any special machine besides the usual one a locksmith uses to cut other keys. After the late-1990’s, key manufacturers advanced in technology and started placing transponder chips in the plastic heads of keys. The transponder chip emits some signals to a receiver in the ignition. If there is a wrong key in the ignition, the car will not start. 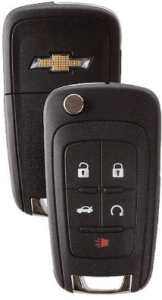 The primary difference between a basic key and a transponder key is that the chip in the transponder key is typically programmed before it can start the vehicle. In fact, this is the main difference between a basic key and a transponder key. The shank of the transponder key can be a laser key or a basic key. Some vehicles have both the transponder key and the fob as a single unit. Because of this, it is tough to get a spare transponder key without considering the dealership. The shank of a laser cut key is slightly thicker, with not too many carved-out grooves. Because of the distinctive winding cut on the shank, laser cut keys are often referred to as sidewinder keys. These keys are slightly expensive because they require more sophisticated machines to cut them – not the ordinary standard key cutting machine. Laser-cut keys’ built-in transponder chips need to be programmed by a locksmith or dealership. Considering their costly nature, these keys are only replaceable by these two. Switchblade keys can have a laser cut or a basic cut.Switchblade keys beat other types of car keys in that its components can be purchased separately.For example, if your key is damaged and cannot function, you can buy the shank separately. Losing your infinite switchblade key will mean that you buy both the key and the fob into which it folds. In the traditional sense, smart keys are not keys. They are fobs that allow the driver to turn the vehicle on and off with only the press of a button. These fobs can either stay in your pocket or be inserted in the dash. 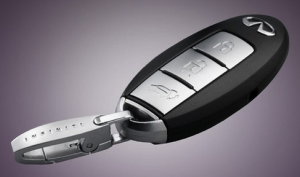 As a result of advanced technology, A smart key has the ability to use rolling security codes. This hi-tech system randomizes the correct code, thus preventing thieves from hacking your car through the use of a code grabber. 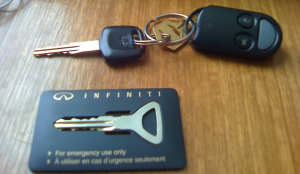 Your infinite smart key emits a code that the car computer recognizes and verifies before starting the engine. 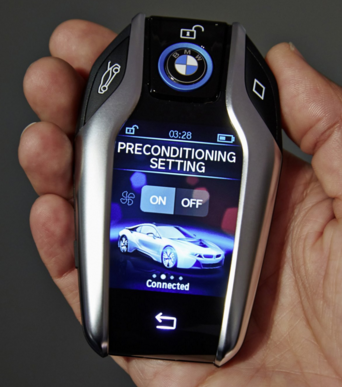 Nearly all car brands have smart keys bundled in their high-tech packages. It is important to know that only dealers can replace smart keys. 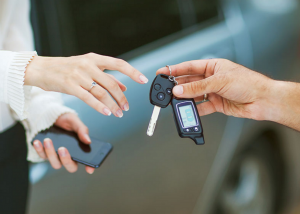 With the knowledge of the types of car keys available on the market, you can make an informed choice on the kind of car you would like to purchase. To be able to define what transponder keys are, you first need to understand that the word transponder comes from two words which are a transmitter and a responder. 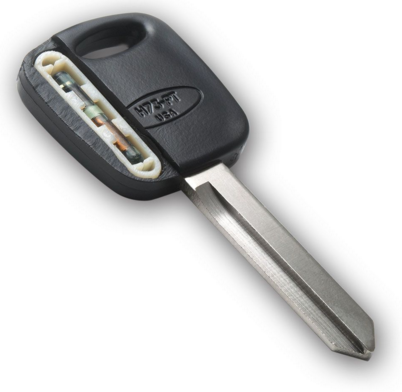 In a simple definition, a transponder key is a car key that that contains a chip that sends a low-level signal to the engine control unit for the engine to ignite. It is, however, worth noting that the system sends the message only when the key is inside the ignition system. A computer system controls the vehicle and transmits and receives signals before the engine ignites. Is investing in a transponder key worth it? 1. Prevents theft. The chip makes it hard for thieves to hot wire your car or break the ignition lock so as to start your car’s engine. This chip makes it hard for thieves to ignite vehicle because the system fails to send the signal needed. The modern cars come with a computer system that demands coordination for the engine to start running. 2. It makes it hard to ignite the vehicle using an unauthorized key. Malicious people or thieves may try to start your car with other keys, but the chip makes it impossible. The transponder system is built in such a way that it must send the intended signal for the engine to start. These keys also come with a unique digital signature that the computer system in the car will have to recognize before the motor vehicle ignites. The major types of transponder keys. There are two major types of keys that apply different approaches in their preparation and functioning. Zero-bitted. These types of keys that are set in such a way that they can be cloned and do not come with preset inscription. For this key to be functional, the locksmith picks your original key and clones it using a key blank. Encrypted keys. This system is pre-set with a random encryption, and your car should be programmed to accept the key. 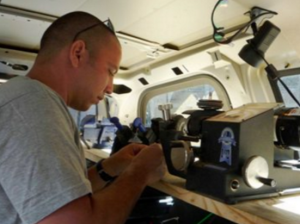 The locksmith uses special equipment to program the vehicle to respond to this system. The process of programming your car to respond to the transponder chip may vary from one locksmith to the other depending on the equipment available and the model of the car. How do you maintain the transponder chip? The approach of maintenance will depend on some factors such as the handling, the model of car and the features of this tool. Some keys use disposable batteries which need changing once the power runs out. If your vehicle’s engine fails to start after you insert the key in the ignition, the noblest thing you can do is to check the batteries if they are available. If a battery does not power your system, then you can contact your local locksmith to establish the problem. It is also advisable to have a pair of transponder keys so as to prevent inconveniences that may arise if you accidentally lose your only piece. You can easily get a copy from a professional locksmith so as to protect from future troubles. Extra security tips for your car? The transponder chip makes it hard for unauthorized persons to access your vehicle. This tool does not, however, guarantee you 100% security that warrants you to be careless with your car. In the light of the above; always ensure that the car doors are always locked and also park your vehicle in secure areas. What are the other benefits of using a transponder key for your car? On top of enhanced security, a car that uses this system is most likely to enjoy discounts from insurance companies when taking anti-theft policies. Such companies offer discounts as they acknowledge that the risks of such a car being stolen are lower than if the car uses just the common keys. It is quite evident that a transponder key is essential to protect your vehicle from unauthorized access. Even though the systems may differ from one manufacturer to the other, it is quite evident that these keys play the primary role of keeping your auto safe. I Lost My Chevy Key – What Do I Do? There is nothing more stressful and frustrating like realizing your Chevy car key is missing just when you are about to drive for work. The car may in some situation not missing but could have broken in when igniting. Luckily, the locksmith car key replacement service is just a call away. The first thing you have to do is call the locksmith car key specialist near you. If it is your fast time, then don’t worry, just relax and do your research. Alternatively, you can opt to inquire from a friend about the pro-locksmith Chevy key repair services. The internet has even made thing much easier; you can, therefore, choose to do online research about locksmith service, where you will get detailed information about their services as well as how to get their services. A locksmith is quite an important person and savior especially in situations of emergencies like lockouts. It may be for car doors or house doors. In any case, the locksmith for lost car key replacement has been quite often called in to solve the problem and help people in opening their car doors. This is a scenario that arises for many people for which they demand the expert services, or rather want to be served by people, who know the job, are authentic and do not quote huge prices. Let us now look at those features which make locksmith your best destination when you realize that your Chevy key is missing. Quick response service – When locksmith for Chevy key replacement is sought out for help, the first thing that they do is ask for the specifications of the problems, the car models and at the same time give a period within which they would be arriving at the location. This works as an advantage for the car owners, who are stranded in even a very distressed place. The locksmiths will come within the stipulated time and provide lost Chevy keys replacement to make sure that the car doors are opened within quick time. Such services are not found with any other agency, thereby making it a popular reason for many people calling in the lost Chevy key service. Using technical means – The manner, in which some amateur or scamming person will open the door, reveals about their lack of experience. But, an actual professional locksmith will help with car key replacement and the opening of the doors with technical equipment. They are equipped with transponders, keystrokes or lock picking devices, and not the standard slim jim rods. This in itself is a significant relief for people as they are assured that their car door locks will not get damaged and hence becomes an impetus for the popularity of the lost car key service. Using professional identities – Some locksmiths are registered with the local authorities about providing services of lost car key replacement. This makes them safer bets for opening the car doors and providing duplicate keys in case of loss of keys. 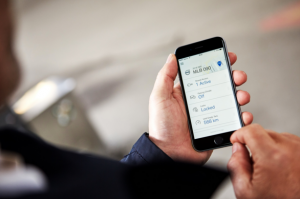 Moreover, they arrive at the site of car lockout in labeled vehicles, along with a full display of their company name and contact numbers as well as email ids. These are enough to ensure people that the right people are going to work on their vehicles. Such features of professionalism can be good reasons for the popularity of Chevy key replacement by the locksmiths in the local neighborhood. With the services for missing Chevy key, people are assured of best attention for solving their problems. You might have lost your Chevy keys at a time when they have to rush for some remarkable work or have misplaced their keys in the night. No kind of problem is too big for these locksmiths. They can solve all sorts of car key problems by coming up with newer sets of keys and opening the car door locks with ease and at lower costs. By keeping in mind some important features about the lost Chevy key service, people will be able to know that there are some agencies of locksmiths, which are popular and these should be preferred. Their popularity has been accumulated over time, with impeccable services, timely arrivals and professional conduct in many respects. Thereby, getting services from these locksmiths for car key replacement will be obviously advantageous. You might be surprised to hear that when it comes to supercars, not only are they themselves carrying an enormous price tag, but the keys too. It’s a surprising thing to think about, but imagine a set of good car keys more expensive than what some people earn in an entire year (or years). 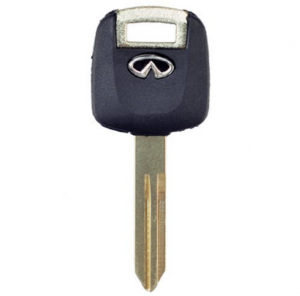 Let’s count down the top 5 most expensive car keys in the world. 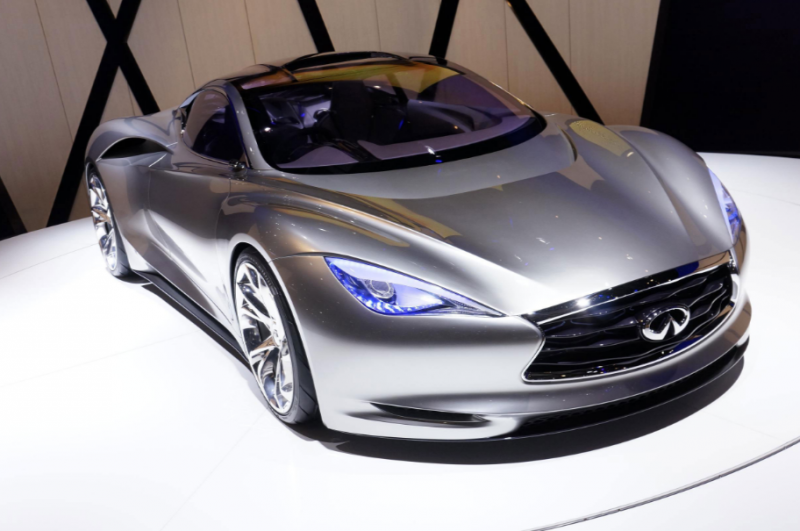 Some of which are coming from brands and models of cars that you may not have even heard of but are sure to leave a lasting impression after reading. Read through to number one for something truly astounding. 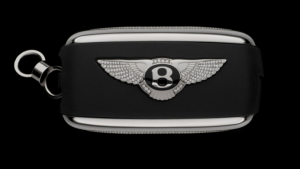 The Bentley Diamond Key from world renowned designer Alexander Amosu clocks in at number four on this list. This set of keys will cost about $7,895. A unique key set with precious stones that are sure to dazzle. It is set with 100 diamonds that are all built into the well-known winged logo for Bentley. The fact that 1.09 carats is set entirely within the logo gives it a much subtler finish than you might expect at this price. Speaking of diamonds, the third key, rocking in at $22,500 and set with 1,160 flawless diamonds is the Bespoke Ferrari Car Key. Exclusively from the London Jewel Designers at The House of Camael, this key is more artwork or jewellery than car key. This time the opposite of what was done for the Bentley Diamond Key, the familiar hose logo of Ferrari is untouched by the diamonds. Instead the logo is surrounded by row upon row of stunning diamonds. Number two on the list is a surprise entry. Because it isn’t a key… but it is. Welcome to the Aston Martin AMVOX2 Watch. This key sits on your wrist and tells the time. In true James Bond fashion, the watch design is gorgeous and completely unique. From chronograph maker Jaeger LeCoultre, the AMVOX2 has been created to interface with the Aston Martin DB9 or DBS. It can in fact do more than just unlock the car, the watch has several buttons which can also activate the lights, open the doors and lock them. It will also set you back $34,000. The number one, most expensive car key in the world goes to a brand many outside of the world of car enthusiasts might not have heard of. The Koenigsegg Agera R Platinum and Diamond Key. 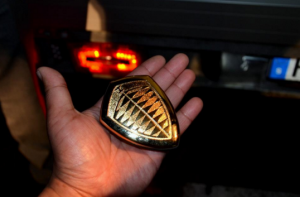 Rounding out at an amazing $250,000, this car key was originally made in silver and looks much like a badge you might wear if you were the chief of police. Those who love all that is elegant and classy might find this car key really ideal for them but that notwithstanding, it still delivers on its basic functionality. A customer looked at that and thought it clearly wasn’t good enough and tasked Optimal Innovative Solutions with creating the $250,000 version that is made from platinum and diamonds. The margins of the fob are set with 40 carats diamonds. There is a button to open it which reveals a USB stick. Control commands for the car are on the back and have the usual functions of being able to lock, unlock, start the car and turn the lights on. The $250,000 diamond and platinum version of the usual silver key is one-of-a-kind currently and only the owner has that. But with the car itself costing $2.8 million, there’s little choice but to opt-in for the premium key to go with it. For any locksmith on the planet, the thought of getting to work with a car and key on the order of opulence on display here must surely excite the imagination. It’s not every day you get to handle a car key that costs more than most people’s house. Let alone their car! Getting a call out to work on one of these beautiful and exclusive works of art would get tongues wagging and let you craft a story you get to keep for years to come. No one gives much thought to car theft statistics–until they walk out to the street, parking lot, or driveway and find their vehicle missing. No one expects to become a victim, but the fact is that car thefts occur every day, often in broad daylight. It can happen to anyone, regardless what kind of vehicle you drive or where you live, and unfortunately, many stolen vehicles are never found. 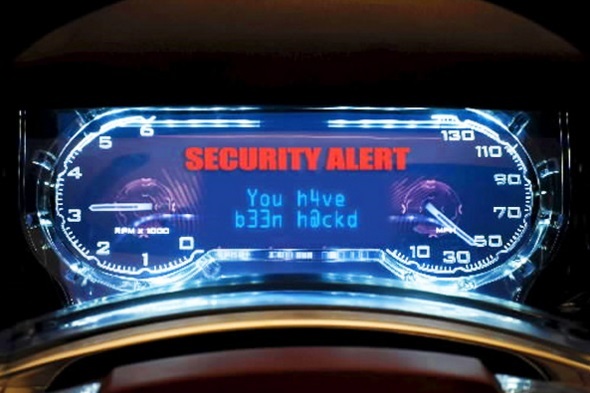 The good news is that there are effective ways of keeping your car safe from electronic hackers. By embracing these security tips, you can prevent car theft, discourage unlawful activity, and aid with the apprehension of criminals with the help of vehicle security technology. These products and installation are available at your local mobile electronics shop, and with surprisingly affordable price tags, safeguarding your car or truck doesn’t have to be expensive! Car alarms are a great choice for scaring thieves, burglars, and vandals away from your vehicle. They also call public attention to the area where your vehicle is parked, increasing the likelihood that actual and potential crimes will be noticed by those nearby, making it easier for the perpetrator to be recognized and caught! Car alarms also come with a variety of different options, including remote start and keyless entry. Key technology has made key remotes a part of the car security system. Car keys today are integrated with security features, almost eliminating the chances of any theft. With a smart key, you can prevent your car from being stolen, even if the thieves manage to break in. A smart key has an embedded chip in the plastic head of the key, which is identified by the software in the car ignition system. This means that even if a person enters the car and tries to start its engine, it would not as it would not recognize the key. You could get this system in your key whether you own a Nissan, Mercedes or a Lexus. The problem arises when you lose a smart key. In such a situation, just getting the key replaced would not do. You would have to get the device reprogrammed. You would need to contact the car manufacturer or a competent transponder key service provider. For instance, if you own a Nissan car and lose the key, you would need to contact Nissan or one of the vendors who reprograms the device. Once this is done, your replacement key would work with your car as if it were original. 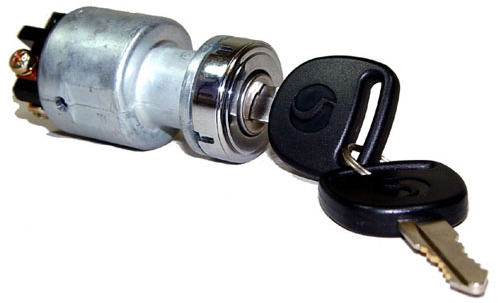 To prevent unauthorized access to your vehicle, you must install a locking system that can be operated with a remote. The remote device of an automatic entry system is made with an electronic chip. The remote works with the help of single or double batteries. Remote is based on an electronic circuit called a chip. Each keyless remote is uniquely designed, and it cannot be operated on other entry locking systems. Due to the unique features of the remotes, it becomes quite hard to hack into the system of your car. 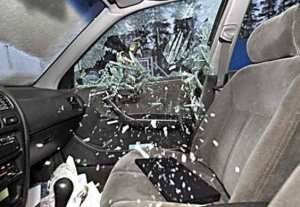 Another way to crack down on vehicle theft is through the installation of a quality GPS tracking system. This remote sensor allows for the easy detection of a vehicle’s every movement, so locating a stolen car or truck will always be possible, even if the vehicle is hidden under brush, in a garage, or far from the nearest road. GPS tracking systems have become increasingly useful to law enforcement in the recovery of stolen vehicles and the apprehension of suspects. GPS tracking systems are great for more than just finding stolen cars and catching the culpable party, Also, they are great tools for bosses to keep watch over employee activities while they are working in the field, and they can be used to track teenagers, elderly relatives, and those who are borrowing your car to ensure that they are using the vehicle responsibly. Vehicle security technology is only as effective and reliable as the quality of its installation. When looking for car security installation, you should look for a reliable and reputable locksmith. Remember, if your car is missing or stolen, you have not only lost your mode of transportation and an important part of your daily life–you have also lost everything inside the vehicle. Keeping your car safe from electronic hackers will ensure the security of your possessions while you are away from the car. Besides, installation of effective security systems will give you peace of mind when the car is at the parking. A lot of times losing a car key can be stressing, especially if you don’t have a spare one. The fact is, without your car keys, you won’t be able to access or drive your vehicle when you need to. The good news is, you can always avoid additional problems by contacting either a car dealership or a locksmith. However, if you are looking for a service provider that won’t disappoint contacting a locksmith will save you lots of trouble. Check out why. Car dealerships are known to charge incredibly higher than locksmiths. If you are not cautious enough, most of them will take the advantage and charge you twice what other clients pay and that is the main reason locksmiths are highly recommended. Unlike a car dealership, locksmiths are always looking for a way to build a relationship with their clients and will do nothing to ruin that. They will charge you the exact amount they charge other customers or even lower. Most likely your car keys will get lost when you least expect it. It might get lost when you are about to leave for work or when you are planning to go for an urgent meeting. If you don’t have any other option of getting there in time apart from driving your car, then you will need a service provider that can replace your vehicle keys in time. Trust me, calling a car dealership to replace your car keys when you have limited time will further ruin your day. The only person that can respond faster to such emergency calls is a professional locksmith. You might lose your car keys anywhere. Unfortunately, car dealerships are never available in all areas. Sometimes when you call them, you will realize that they are miles away from where you lost your car keys. There are some places you might not even be able to access the services of a single dealer. More often you will be forced to travel long distances using another person’s vehicle to get to their locations. One thing that makes locksmiths your best choice here is that you can always access their services whether you are in a strange location, a remote area or far away from any trading center. They can also get to your location in time depending on how fast you need your car keys replaced. The last thing you need is following a long and tiring procedure when your car keys get lost. Sadly, that is how car dealerships work. To get a car dealer to replace your car, you may have to follow a lengthy procedure. And even completing the whole process the person who is supposed to attend to you might choose to delay inconveniencing you further. Most of the times, the whole process will take up to two weeks. What if your car keys get lost in a strange location? The truth is, you will be risking a lot. If your car is the only thing that gets you to places, then calling a locksmith immediately when your car keys get lost is your best bet. Car dealerships will only give you more stress. Car keys is a small thing. It can get lost any time and anywhere. The worst thing that can happen when you lose your key in a remote area is calling a service provider without success. It can be inconveniencing. Car dealerships, unlike locksmith, don’t stay in touch with their customers more often, and that is one of the reasons they may fail to respond to your request in time. Having a locksmith by your side makes it easier for you to find help when you need it most. It also offers you the opportunity to learn more. Unlike working with a car dealership, you will be able to ask important questions and get the right answers. You might realize you don’t have your car keys when is too late at night and you are in the middle of nowhere. When you call car dealerships at this time, chances that they won’t even respond are high simply because most of them close before evening hours. On the other hand, if you have a locksmith’s number you can make a call, and he will be there to assess your situation in time. To summarize, having a locksmith by your side will get you out of trouble more often. Your car keys can get lost any time and anywhere. If you happen not to have a spare key somewhere, you will be in big trouble. 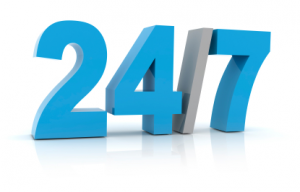 The only way to avoid other problems is to call someone that will respond faster, charge fairly, easy to access and most importantly, available 24/7. That person is a locksmith. Unlike working with a car dealership, you can always keep in touch with them and the best part; they won’t have any excuse for not attending to your problems in time.